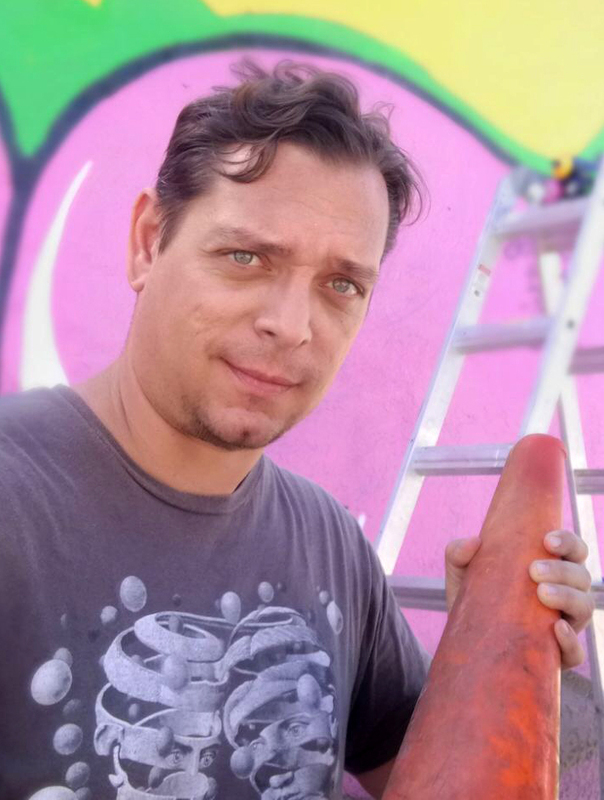 Born in Chile and raised in Miami, Claudio Picasso began painting walls at the age of 15. It was at this time that he fell in love with graffiti and its bold colour schemes, graphic styling, monumental scale, and social commentary. Although he has studied everything from sculpture to printmaking, photography to digital art, spray paint has remained Claudio’s preferred medium for over twenty years.